People close to us know we go a bit nuts this time of year. Why? 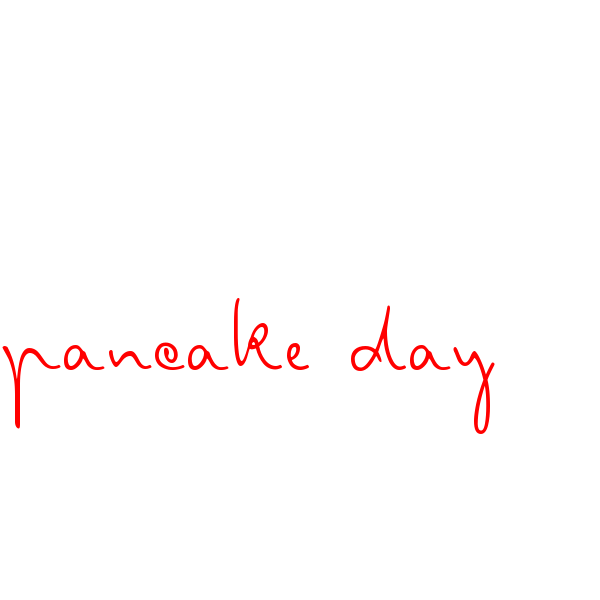 Because we just absolutely love Pancake Day! This year, it falls on 13th February but we’re not waiting until then to enjoy these delicious, golden treats. 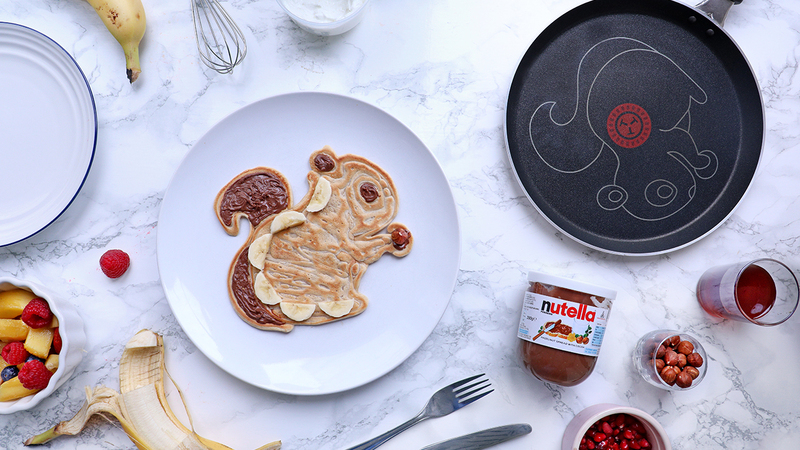 We’re hoping you’ll go nuts too – especially for our new squirrel pancake pan special edition pack, exclusive to Tesco. 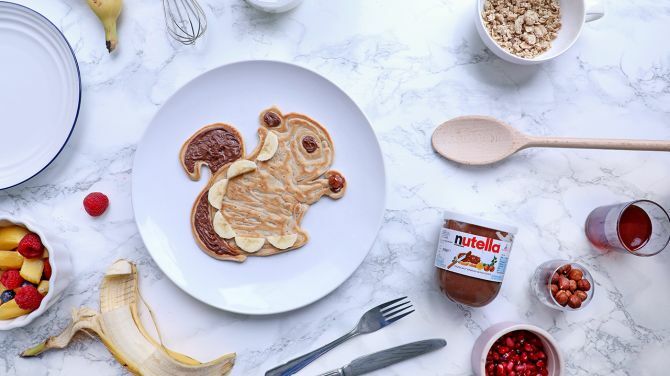 The 25cm pancake pan features an outline of a cute squirrel and comes with a handy squeezy bottle and a 200g jar of delicious Nutella hazelnut spread with cocoa. This year, get creative and take your pancakes to a whole new level. The plastic squeezy bottle included with the squirrel pancake pan is there to help you create your culinary masterpieces with ease. Simply follow the printed outline on the pan, let it cook for a moment, and then fill in the gaps and continue cooking until it’s ready. Then why not top it with some of the Nutella and get decorating? We’d love to see your creations so don’t forget to share with us on Instagram. 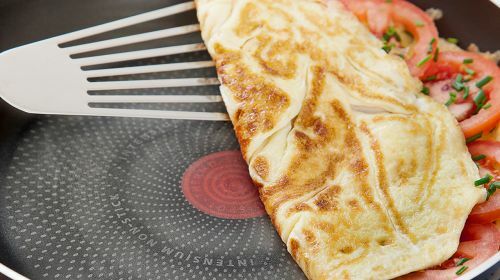 The pancake pan also features Thermo-Spot, our unique heat indicator that will turn solid red when it’s ready to start cooking, helping you get perfect pancakes every time and avoid half your batter ending up in the bin. 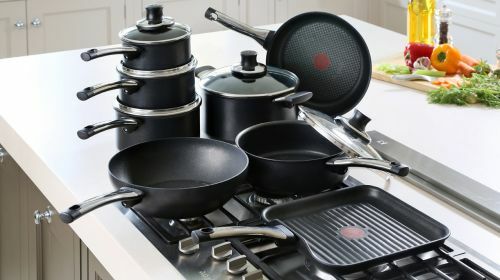 It also comes with our durable non-stick coating to make life easier – especially if you’re brave enough to try flipping them! 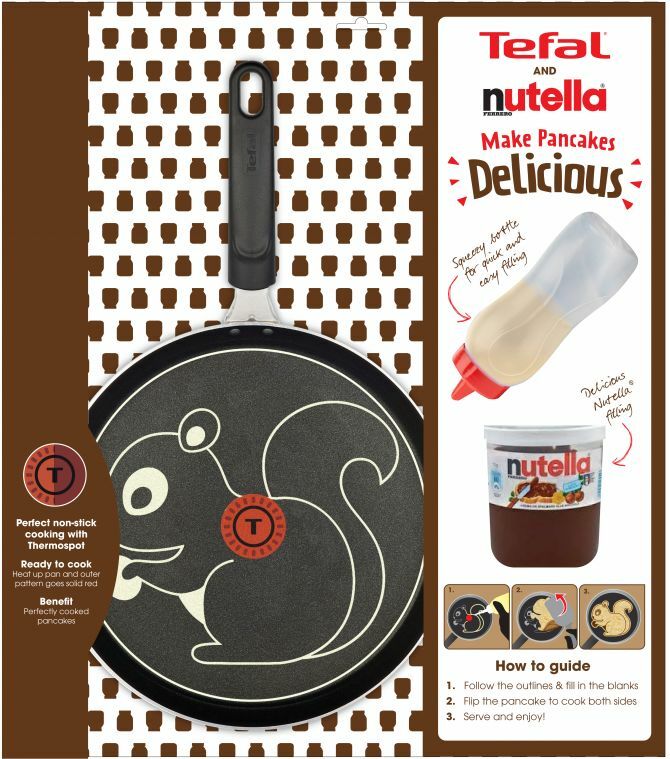 Included in our special edition pack is a Tefal 25cm squirrel pancake pan, squeezy bottle and a 200g jar of Nutella hazelnut spread with cocoa. It’s available now and exclusive to Tesco.